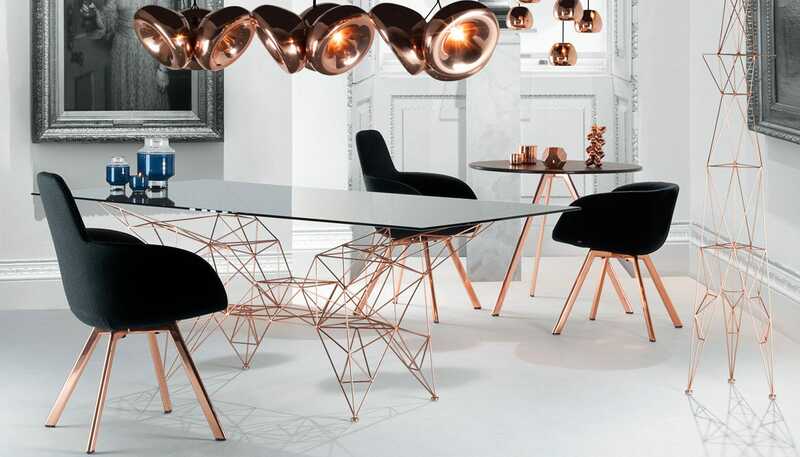 Spread the cost from only £312.50 a month with Interest Free Credit. 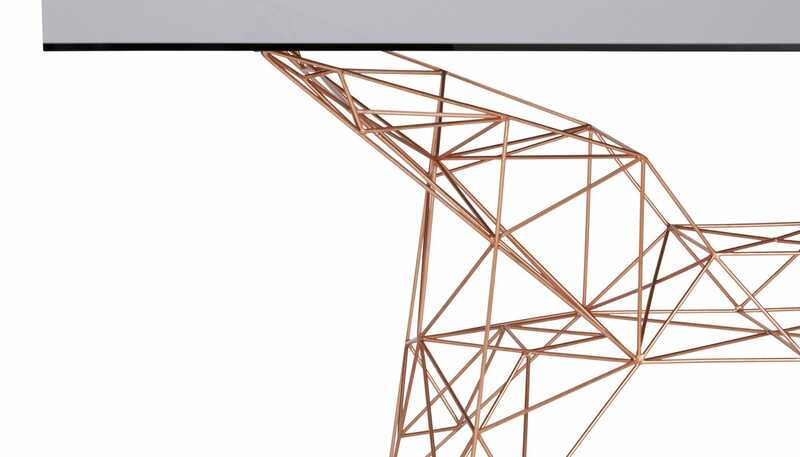 An architecturally inspired design, the Pylon is a modern dining table that contrasts industrial style with opulent craft. 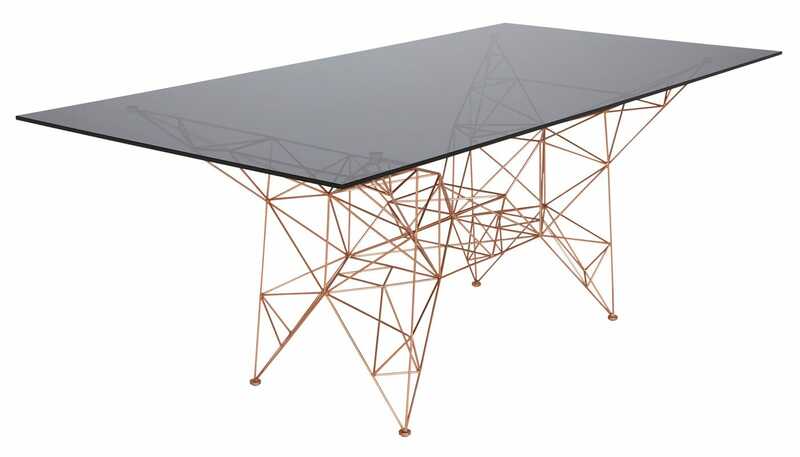 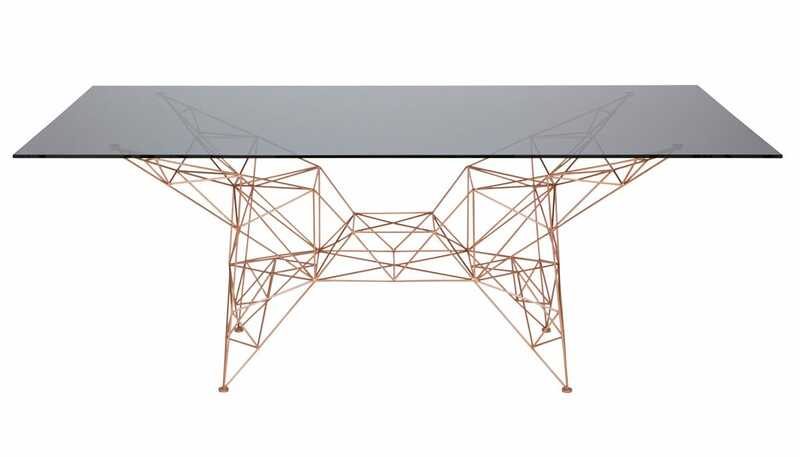 Referencing the structural look of bridges, towers and electrical pylons, the hand-welded steel rod frame is finished in Tom Dixon’s trademark coating of gleaming copper and topped with a thick sheet of semi-transparent smoked glass.